It is where a fabric is formed by lacing together two distinct sets of threads. You lace coloured threads onto a weft threads. 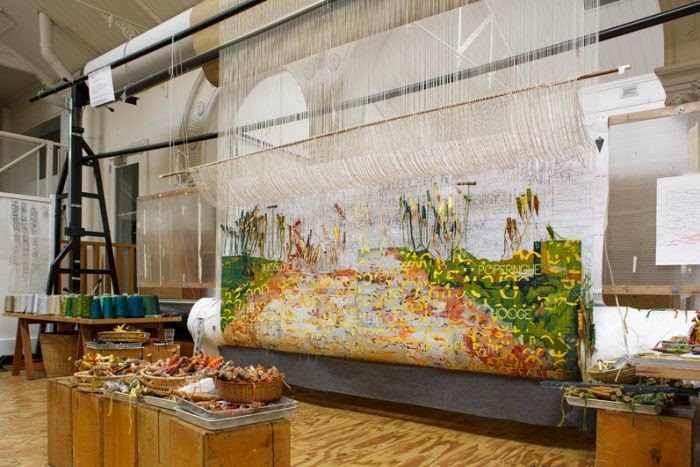 It is an old craft that was used to create beautiful tapestries that used to show amazing themes. Cross stitch fabrics are woven fabrics because they are even side to top. Technically most fabrics we use for craft are woven fabrics we just don't have the ability to hand loom such fine fabrics. This is a lovely scarf my mum brought me back from Tasmania when they visited. 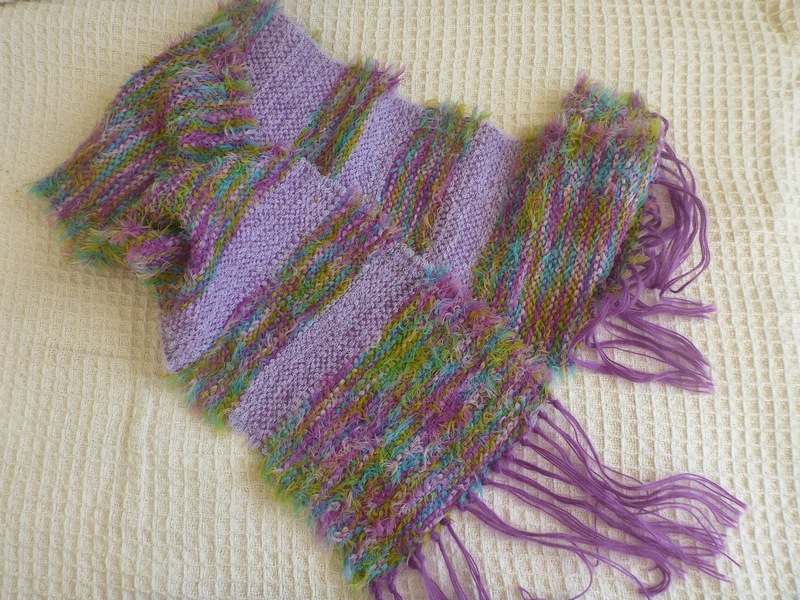 It is hand woven out of Alpaca wool. I found this tapestry photo when I started searching. It's not the full reveal unfortunately but by the looks of it it will be revealed later this month. It looks to be an amazing piece. I know I've been reading lots of instructions recently over at A Beautiful Mess where they have been showing how to do your own weaving. Here are the instructions for a cool looking pillow. I'm sure you can find more tutorials around the place.... I need to see if I can have some fun with making my own woven stuff. I used to have a little plastic frame which you could use to weave squares. It was quicker and easier than crochet and you could make blankets or ponchos for dolls, which was mostly what I did. Love the purple! New follower here. I'm stopping by from the "A to Z" challenge, and I look forward to visiting again! I can't wait to see the finished tapestry in the photo. I hope they reveal it soon.